Each year, millions of drivers hit the road for summer travel, making safety critical, particularly at peak travel times such as the Labor Day weekend. 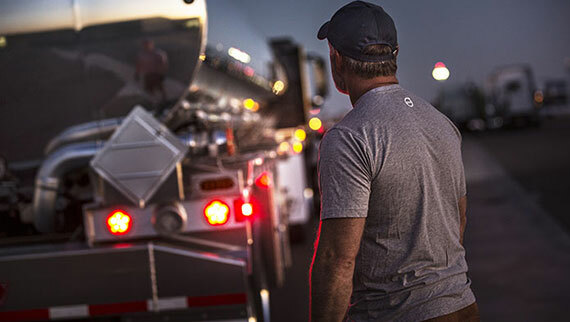 Volvo Trucks has pulled together key safety tips for drivers that we hope you will share, along with information about Volvo Trucks’ innovative safety technologies. Volvo Trucks is committed to protecting drivers on the road and has invested in state-of-the-art safety technologies that assist drivers to reduce the potential of on-road incidents. 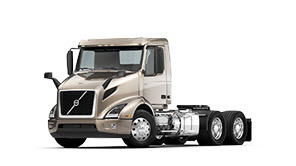 The new Volvo VNR and VNL series combine active safety innovations that make the new long-haul and regional-haul models the safest Volvo trucks ever. 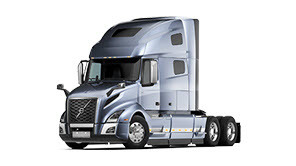 In fact, earlier this summer, Volvo Trucks and the North Carolina Department of Transportation (NCDOT) partnered with FedEx, using three state-of-the-art Volvo trucks to demonstrate an innovative autonomous technology that allows trucks travelling together to communicate with one another and drive as one, reducing drag, increasing fuel efficiency and helping to improve roadway safety. Be aware of the vehicle in front of you and give them plenty of space. Slow down and don't exceed the speed of surrounding traffic. Do not cut in front of large trucks! Big trucks take much longer to stop than smaller automobiles. 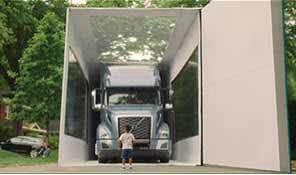 Fully-loaded tractor trailers can take more than 100 yards to make a complete stop. Give them enough space so they can brake to a complete stop. Buckle your safety belt; this important safety device won't prevent a crash but it can save a life. Keep your eyes on the road! Avoid distracted driving; put your cell phone away while operating your vehicle. Prepare yourself and your vehicle for long-distance travel. Before you hit the road, ensure vehicle maintenance is up-to-date and that you are well-rested, fed and hydrated. Also make sure you have a few safety supplies in the car: water, snack, blanket, and flashlight may come in handy if you experience a breakdown along the way. Avoid impaired drivers. Report any intoxicated drivers by calling 911, and pull over to the side of the road to avoid a dangerous driving situation. Take note of the blind spots of large trucks: if you can't see the driver, the driver can't see you. For your safety, pass trucks only on their left side; this gives the driver the greatest chance to see you. Be flexible. If weather conditions are dangerous or the forecast doesn't look good, try shifting your plans to drive another day if possible. Volvo Active Driver Assist:This integrated camera- and radar-based system combines forward collision mitigation warnings and active braking, even with stationaryvehicles. 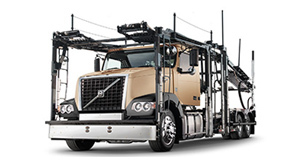 Volvo Enhanced Stability Technology (VEST): This system provides core antilock braking, Bendix® Smart ATC, and an enhanced stability system that helps drivers reduce risk of rollover, jackknife, and loss of control situations. 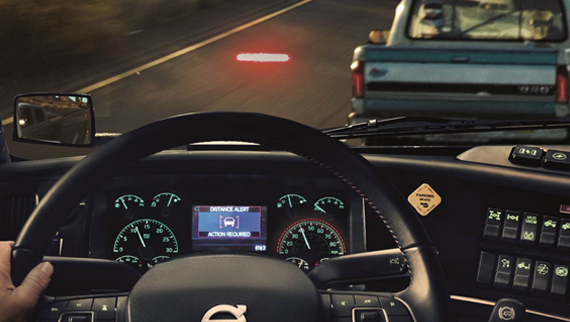 Lane Departure Warning: This safety system uses a windshield-mounted camera to track road markings. If the truck begins to drift, audio and visual alerts warn the driver to move back to the center of the lane. LED Lighting:Both interior and exterior LED lighting provide clearer sight lines, improve overall visibility, and help reduce driver fatigue. I-Shift automated manual transmission:Companies that use Volvo I-Shift transmissions reduce the risk of accidents by 22 percent. The new version of the I-Shift is even smoother, dampening vibrations, quieting the cab and reducing stress on the driver. Passive Protection Technologies: include driver-side airbags; raised foot pedals; impact-absorbing steering wheel/column, dashboard and panels; three-point safety belt; flared frame rails; high-strength-steel cab; and a one-piece, roped in windshield that provides a fast emergency exit if needed. Safety is the cornerstone on which Volvo founders Assar Gabrielsson and Gustaf Larsson built the company, establishing safety as a core value in 1927. Gabrielsson and Larsson are famously quoted as stating, "A vehicle is made by and for people. Thus, the basic principle of all manufacturing is and must remain safety." CAPTION: Volvo Active Driver Assist, a comprehensive, camera- and radar-based collision mitigation system, is standard equipment on the new Volvo VNR and VNL series. 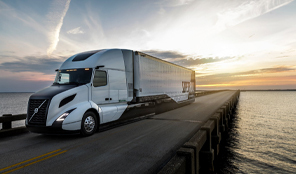 The system helps professional truck drivers monitor other vehicles on the road and provides alerts and even automatic braking to reduce risk of collisions. Volvo Trucks ofrece soluciones de transporte integrales para clientes profesionales y exigentes, con una variedad completa que va desde camiones medianos hasta camiones de servicio pesado. El soporte al cliente se asegura a través de una red global de 2,100 distribuidores y talleres en más de 130 países. Los camiones Volvo se ensamblan en 16 países de todo el mundo. En 2017, se entregaron más de 112,000 camiones Volvo en todo el mundo. Volvo Trucks es parte de Volvo Group, uno de los principales fabricantes mundiales de camiones, autobuses y equipos de construcción y motores marinos e industriales. El Grupo Volvo también ofrece soluciones para los sectores de financiamiento y servicios. El trabajo de Volvo Trucks se basa en los valores fundamentales de calidad, seguridad y cuidado del medio ambiente.